Education is highly valued and respected in the Karen culture. In Burma and Thailand, there is a high-regard and respect towards teachers. During adolescence, some children must stay at home to take care of their younger siblings to allow their parents to work in the field. Sometimes teenagers worked in the fields with their parents. School can get disrupted when armies invade villages and the people must flee for safety. The average age for Karen or refugees from Burma to enter school is 5-8 years old. They normally finish between 16-20 years old. There are no ceremonies to mark birthdays or rites of passage into adulthood. Generally, three languages are taught in Karen schools, Karen, English, and Burmese. The academic year begins the first week of June and ends in March. Traditionally, Karen families teach their children the virtues of sincerity, simplicity, brotherhood, honesty, and humility. Most Karen children love music and sports. There is a desire to learn English, but students are deprived of school supplies and experienced educators. Although Karen schools began by missionaries, the Karen schooling system was not as influenced by Christian education. Because qualified teachers could only be found in Christian society, schools were led by Christian teachers but supported by Karen villagers, most of which were non-Christians. The Karen appreciate the kindness of missionaries, but their desire to learn was not intended to convert Karen society to Christianity, but to eliminate illiteracy and to provide an educational opportunity for their children. After General Ne Win seized power in 1962, he nationalized all missionary and private schools in Burma and abolished their curriculum’s. He began the foundation for a socialist education system. As a result, Karen schools disappeared in Burma. However, the Karen have never given up their rights to an education. 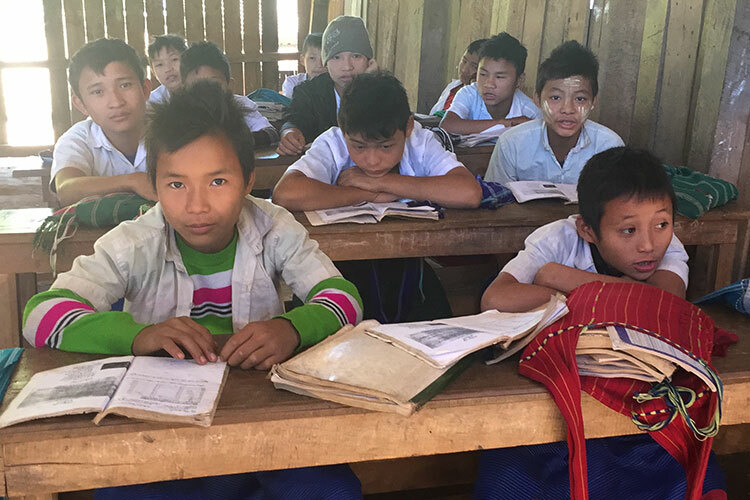 Since 1978, many refugees (more than 15,000 on the Thai-Burmese border) have started teaching their own children and as a way to pave the path towards opportunities in higher education.